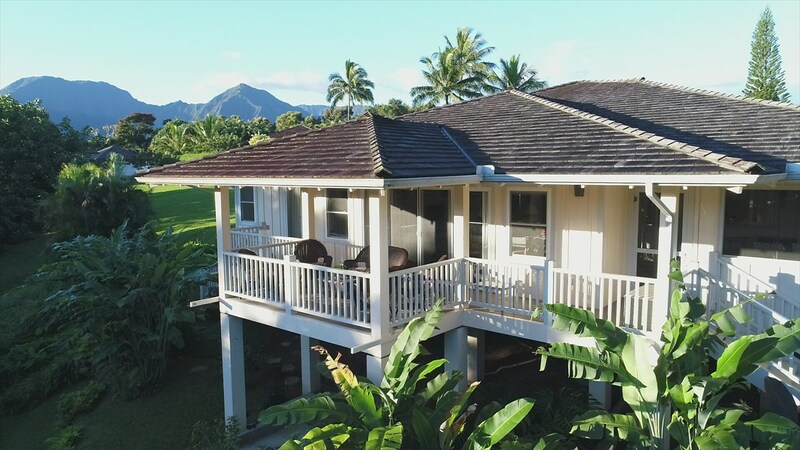 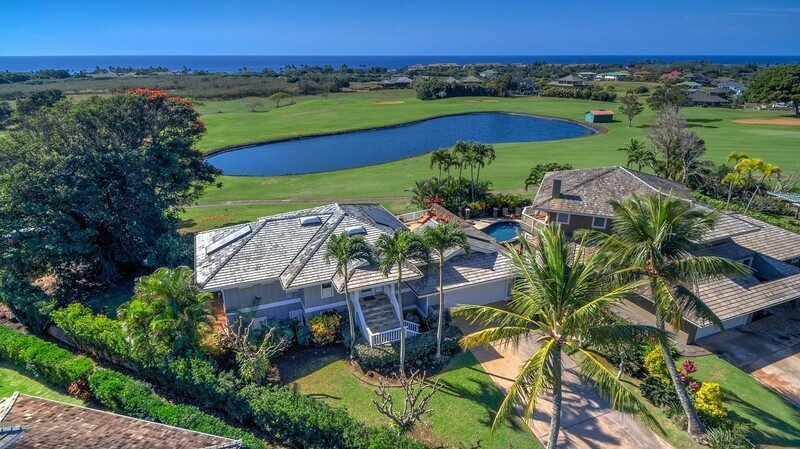 This new Poipu Beach, Kauai listing within the desirable Kiahuna Homesites community and located at 2807 Milo Hae Loop is truly beautiful, peaceful and serene. 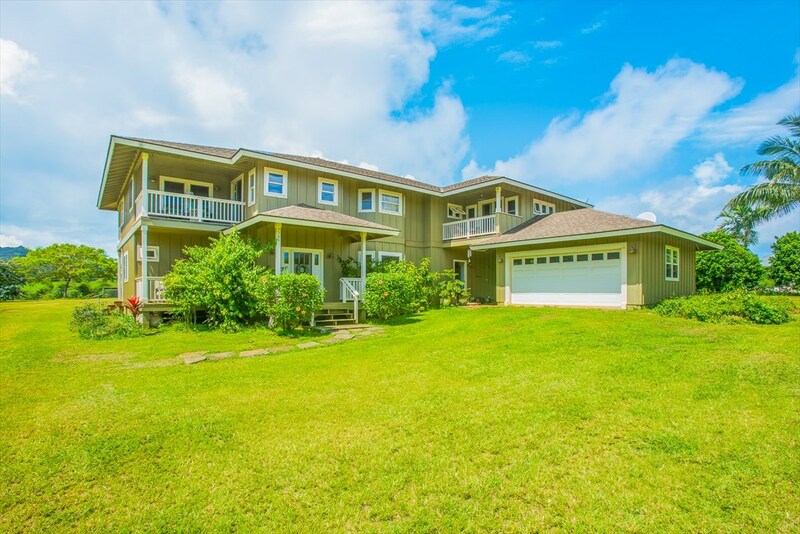 Available for immediate viewing, the elegant property affords a corner lot location and a home that displays luxurious appointments with an emphasis on quality. 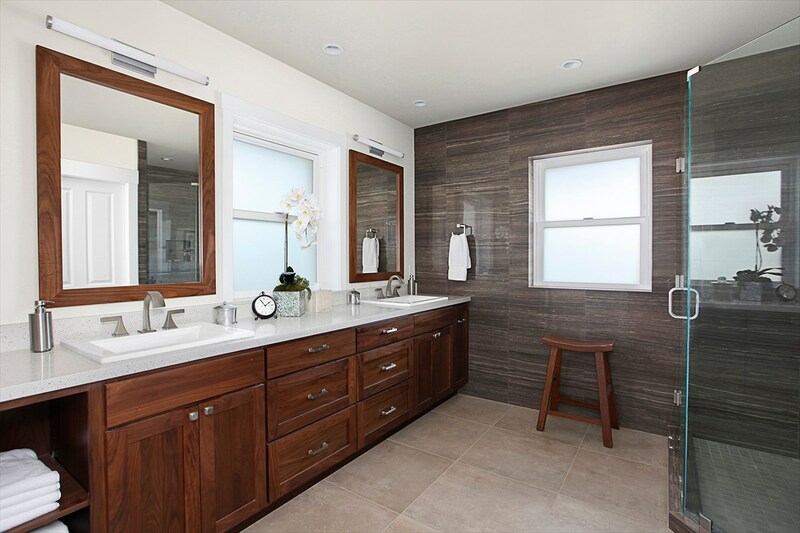 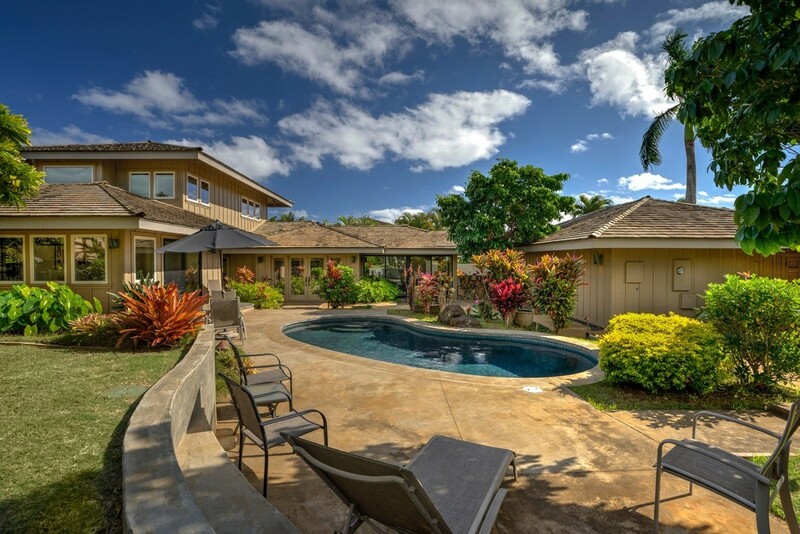 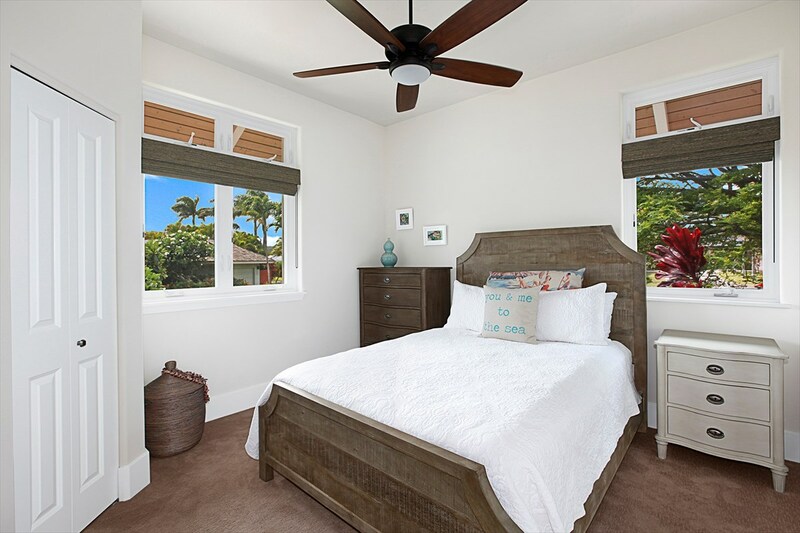 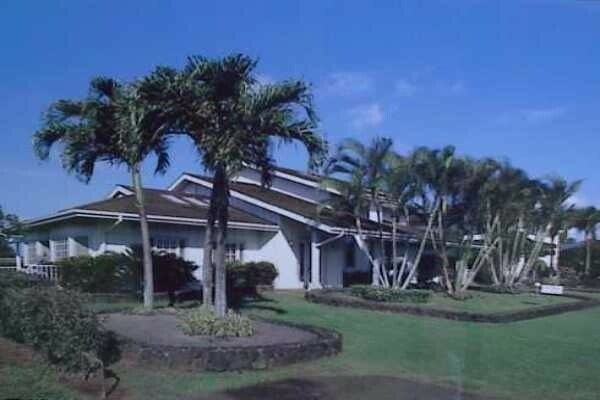 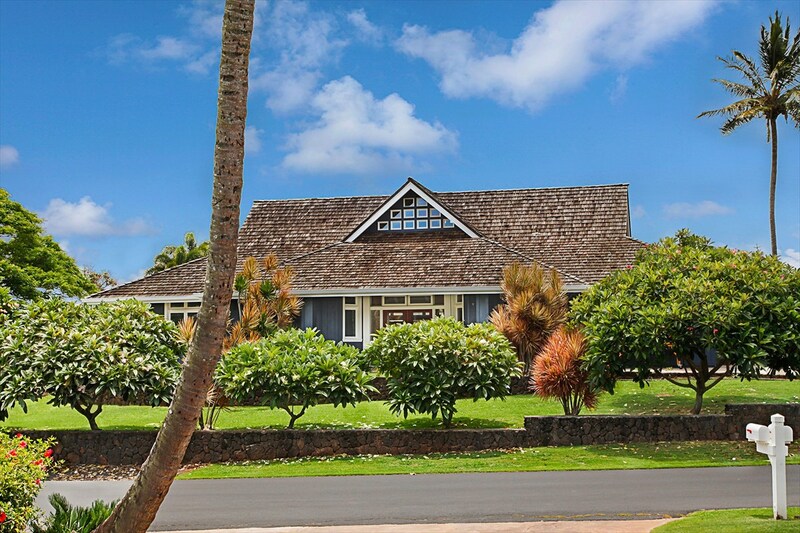 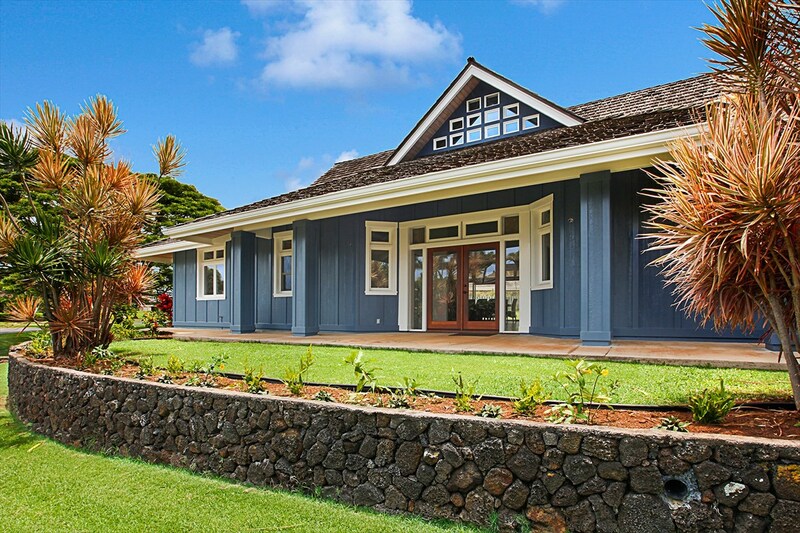 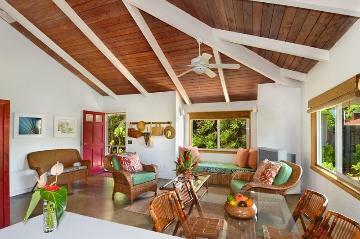 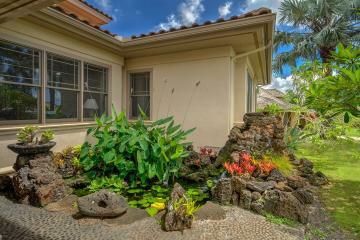 At just under 2,500 square feet of living space plus front and back lanai, this listing's floorplan provides the ideal layout and spaciousness for a permanent resident or those who seek a vacation home. 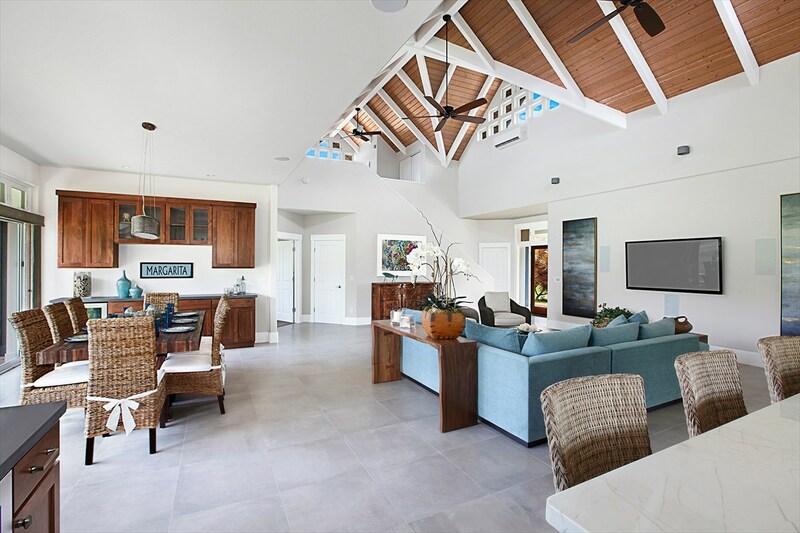 Both the master and secondary bedrooms flank the great room with where volume, light and air combine to create a calm and contemporary experience. 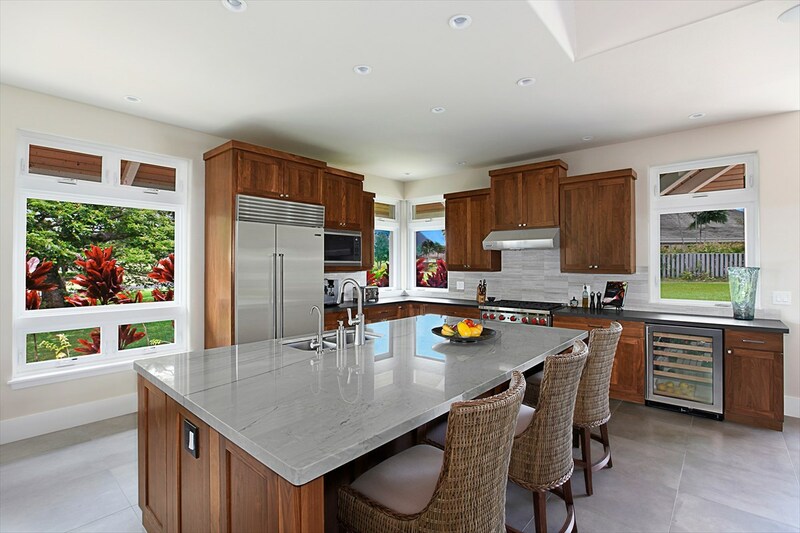 Within the great room every gourmet cook's high end kitchen appliance is provided inclusive of SubZero refrigerator and wine storage plus the Wolf range and an expansive quartzite kitchen island. 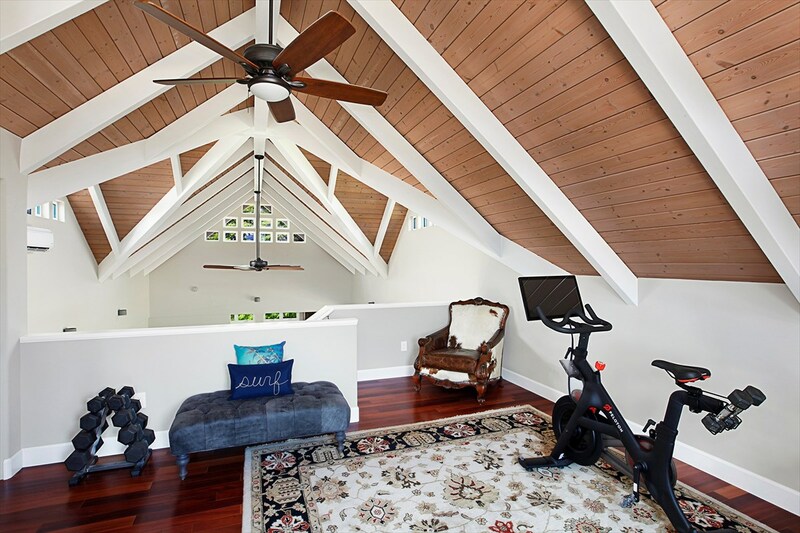 Upstairs, the 3rd bedroom/loft comes complete with its own lanai and private bath. 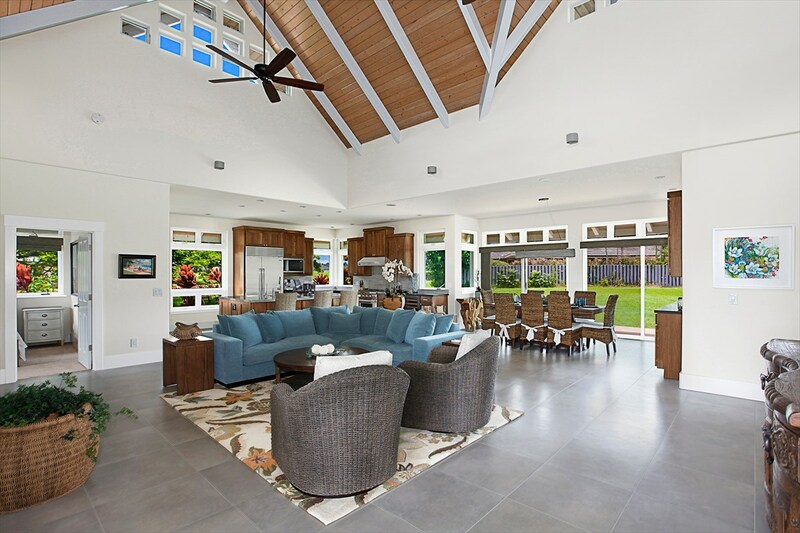 Air conditioning keeps the interiors as cool as you desire although this home's orientation compels the use of the natural tradewinds. 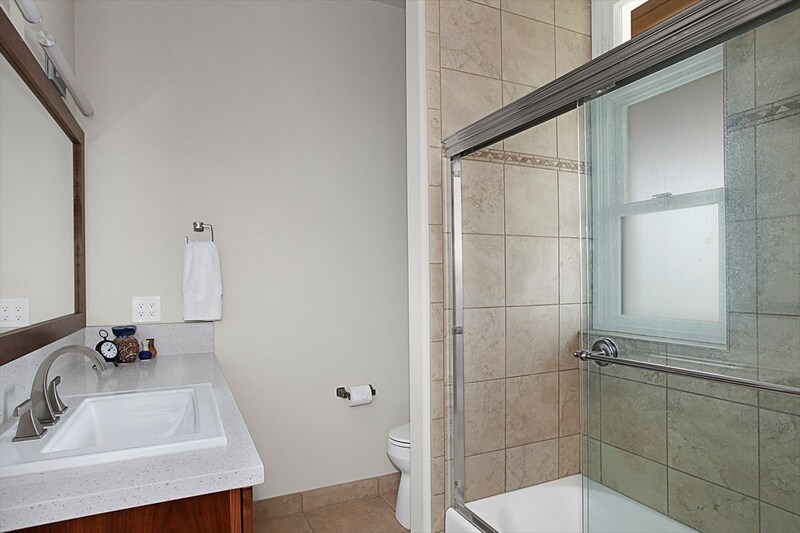 * Finish specifications: High end finish schedule provides vaulted ceilings, air conditioning, quality appliances, quartzite counters, tile and carpet flooring. 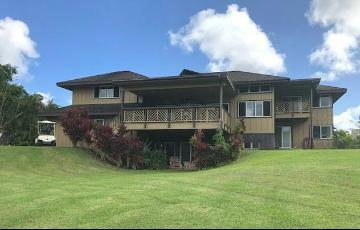 2807 Milo Hae Lp, Koloa, HI.